BCDB Rating: 4.1/5 Stars from 24 users. This page has been viewed 130 times this month, and 13245 times total. Cartoon Characters: Manfred, Sid, Diego, Ellie, Scrat, Captain Gutt, Squint, Shira, Ethan, Peaches, Crash, Gupta, Milton, Fabio Sloth, Katie, Eddie, Flynn, Raz, Louis, Steffie, Granny, Silas, Eunice, Crab, Sloth Siren, Marshall, Meghan, Hyrax, Elk. Vocal Talent: Ray Romano (Manny), John Leguizamo (Sid), Denis Leary (Diego), Queen Latifah (Ellie), Chris Wedge (Scrat), Peter Dinklage (Captain Gutt), Aziz Ansari (Squint), Jennifer Lopez (Shira), Drake [Aubrey Graham] (Ethan), Keke Palmer (Peaches), Seann William Scott (Crash), Kunal Nayyar (Gupta), Alan Tudyk (Milton, Fabio Sloth), Heather Morris (Katie), Josh Peck (Eddie), Nick Frost (Flynn), Rebel Wilson (Raz), Josh Gad (Louis), Nicki Minaj (Steffie), Wanda Sykes (Granny), Alain Chabat (Silas), Joy Behar (Eunice), Jason Fricchione (Crab), Ester Dean (Sloth Siren), Ben Gleib (Marshall), Ally Romano (Meghan), Alexa Kahn (Hyrax), Matthew Simmons (Elk), Jennette McCurdy, Tara Sands, Heather Mor­ris, Joy Behar, Josh Gad, Alan Tudyk, Nick Frost, Kunal Nay­yar, Alain Cha­bat, JB Smoove. Produced By Lori Forte, John Donkin. Animated By Joseph Antonuccio, Pako Bagur, Tab Burton, Heather Carpini, Bertrand Chung, Jocelyn Cofer, Stephen Dahler, Pete Devlin, Paul Downs, Nathan Engelhardt, Scott Farrell, Edward Fornoles, Richard A. Fournier, Patrick Giusiano, Tom Grevera, Matthew Hasselmann, Jason Ho, Ken Kaiser, Scott Lemmer, Lluis Llobera, Cristin McKee, Elena Ortego, Thom Roberts, Raymond Ross, Julen Santiago, Dan Segarra, Christopher Silva, Graham Silva, David Sloss, Dorian Soto, Wes Storhoff, Adam Strick, Jörg Volk, Justin Weg, Drew Winey, Trevor Young. Written By Michael Berg, Jason Fuchs, Mike Reiss. Edited By James Palumbo, David Ian Salter. Story Artists: Eric Favela, John E. Hurst. Story Animatics: Bryan Cox, Chris Siemasko. Storyboards: John E. Hurst, Piet Kroon, Tom LaBaff, Tony Maki. Animators: Joseph Antonuccio, Pako Bagur, Tab Burton, Heather Carpini, Bertrand Chung, Jocelyn Cofer, Stephen Dahler, Pete Devlin, Paul Downs, Nathan Engelhardt, Scott Farrell, Edward Fornoles, Richard A. Fournier, Patrick Giusiano, Tom Grevera, Matthew Hasselmann, Jason Ho, Ken Kaiser, Scott Lemmer, Lluis Llobera, Cristin McKee, Elena Ortego, Thom Roberts, Raymond Ross, Julen Santiago, Dan Segarra, Christopher Silva, Graham Silva, David Sloss, Dorian Soto, Wes Storhoff, Adam Strick, Jörg Volk, Justin Weg, Drew Winey, Trevor Young. Senior Animators: Amila Puhala, Patrik Puhala. Animation Production Assistant: Rachel Richmond. Animation Technical Assistants: Jonas Avrin, Teresa Nord. Layout Technical Assistant: Jennifer Brola. Materials Technical Directors: Audrey Bagley, Travis Price. Character Simulation Production Assistant: Rachel Richmond. Character Simulation Supervisor: Keith Stichweh. Character Simulation Technical Directors: Mason Evans, Allan Kadkoy, Misha Koplan. Character Technical Directors: Brian Anderson, James Gu, Sabine Heller, Christopher M.K. Hill, Daniel Sampaio Lima. Compositing Supervisor, Blue Sky Studios: Dan Cayer. Compositors: Jason Bidwell, Michael J. Viera, Jud Estes. Digital Compositors: Ashleigh Anderson, Chris 'Pinkus' Wesselman. Digital Compositor, Blue Sky: Jenn Epstein. Effects Artist: Blue Sky: Andrew Dickinson. Effects Technical Directors: Ilan Gabai, Shu Liu. Fur Technical Directors: Jon Campbell, Tamara Garabedian, Paul-Jozef Torrevillas. Fx Technical Directors: Kevin Edzenga, David Quirus, Curt Stewart. Junior Lighting Artist: Michael Murdock. Lead Lighting Technical Directors: Eldar Cholich, Aaron M. Ross. Lead Technical Director: Fur: Jamie Williams. Lighting Production Assistants: Shanna Robalino, Shanna Robalino. Lighting Technical Assistant: David Raghavan. Lighting Technical Directors: Jonathan Davis, Haskell Friedman, Michael Tanzillo. Materials Technical Director: Daniel Ken Shimmyo. Modelers: Dinis 'Dennis' Morais, Florian Perret. Pipeline TD: Borae Jungsuk Cho. Production Assistant: Stereoscopic: Kristina Hall. Assembly Technical Director: Brian R. Handler. Senior Character Technical Director: Brendan Condit. Senior Character Technical Director: Mark Edwards. Senior Effects Technical Director: Andrew Schneider. Senior Fur Technical Director: David Barksdale. Senior Materials Technical Directors: Diana Diriwaechter, Raphael Matto. Senior Stereoscopic Technical Director: Scott Minter. Senior Technical Director: Assembly: Inna Agujen. Sequence Lead Compositor: Justin Gladis. Stereoscopic Technical Directors: Elvis Au, Jud Estes, Stephen Jenkins, Jonathan King, Quan Tran. Technical Supervisor: Production Pipeline: Christopher Moore. Visual Effects Artists: Heather Brown, Daniel Sampaio Lima, Alvaro Segura. Visual Effects Production Assistant: Melissa Tierney. Head Of Camera & Staging: Robert Cardone. Final Camera & Staging Artist: Dallas Alan Dietrich. Camera And Staging: Monty Granito. Camera & Staging Artist: Joseph Jones, Alex Li. First Assistant Editor: Kathy Graves. Digital Intermediate Assistant Producer: Laura Holeman. Digital Intermediate Editor: Amy Pawlowski. Editorial Manager: Jason Fricc: Angela Gerardo. Music Editor: Thomas A. Carlson. Orchestrators: Rick Giovinazzo, Dave Metzger, John Ashton Thomas. Composer: Additional Music: Beth Caucci, Paul Mounsey, Hélène Muddiman. Score Mixing Assistant: John Traunwieser. Temp Music Editor: Greg Vines. Sound Recordists: Tighe Sheldon, Stephen Urata. ADR Loop Group Director: Jason Harris. ADR Loop Group: Seth Robert Dusky. ADR Recordists: Roni Pillischer, Danny Reeves, Andy Stallabrass. Supervising Foley Editor: Pascal Garneau. Assistant Sound Re-Recording Mixer: James Spencer. Audio Technical Support: P.J. Corvus. Original Dialogue Mixer: Roy Latham. Helpdesk System Administrators: Matthew Jurczyk, Cody Wexler. Senior Infrastructure Engineer: Vincent Liggio. Do you have anything to add to this page? 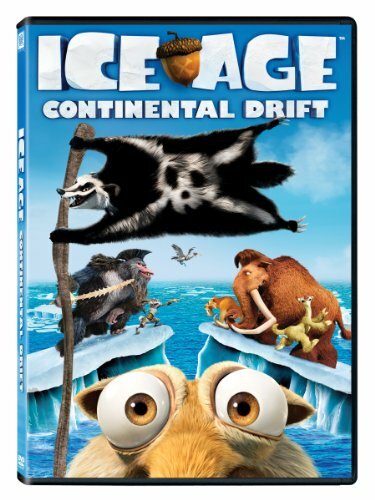 Have we made any mistakes... or do you have any additional information about Ice Age: Continental Drift? If so, we would love to hear from you. Please send us a quick note with your additions or corrections to this page, and we will make the corrections as soon as possible! 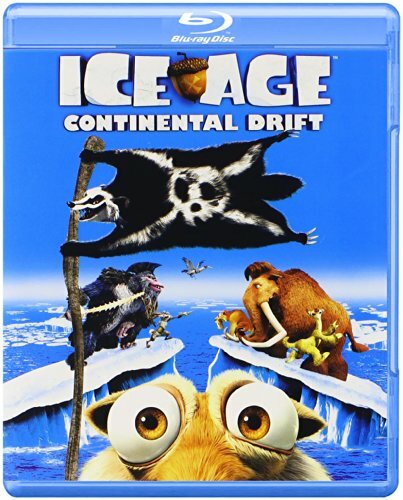 Do you love Ice Age: Continental Drift, or do you think it is the worst cartoon ever? Let us know what you think! Surely you have an opinion... so share what you think. Take a minute and post your own comments about this cartoon here. Ice Age: Continental Drift by Big Cartoon DataBase is licensed under a Creative Commons Attribution-NonCommercial-ShareAlike 4.0 International License.